With the new year on the horizon, you might well be thinking about how you’re next going to jet off and see the world anew. 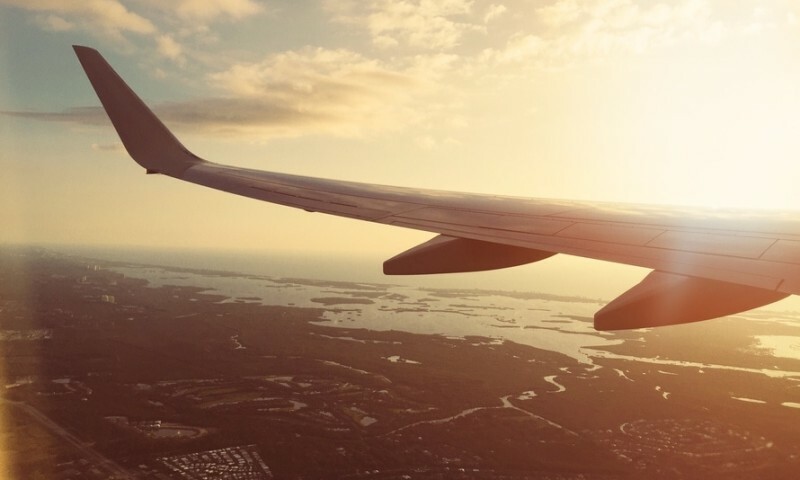 While the thought of hopping on a plane and going wherever the wind might carry you can seem appealing, the reality can be a whole lot different, taking a big chunk out of your energy reserves. If you find the process of getting a flight, arranging a hotel and making all the last minute details stressful, you need to turn to technology in order to help you out. There are a whole load of travel apps on the market designed to make your vacation a lot easier, reducing the worry factor remarkably. These apps are the cream of the crop, making picking a flight and jetting off a much closer reality. Juggling multiple websites to ensure that you’re getting the best deal for your flight? There’s an app for that. If you’re finding searching on competitor websites time consuming and exhausting, you can try using Hopper to streamline your travel search. A mobile app, Hopper compares all of the deals on flights for the dates that you have chosen, locating the best deal out there for you. All you need to do is select your route, punch in the dates and the app will tell you what to do and when to do it. Better yet, you can also set alerts to tell you when flight prices drop, helping you get your hands on a ticket sooner than ever. With savings of up to 40% to be had, the app will seriously change the way that you travel. If you’re the type of person who has an ever growing travel wishlist, you can turn to apps in order to make your adventuring dreams a reality. Hitlist is a mobile app that allows you to enter all of your dream travel destinations into its servers, in turn sending you alerts when flights to these places are at their lowest. If you’re not sure what city it is that you’re looking to go to, you can define your search according to region or country, helping you to see parts of the world that you might otherwise have overlooked. The app lets you stockpile all sorts of trips and travel variants, giving you the chance to jet off whenever your fancy takes it! Keeping tabs on different hotels can be a tricky business, particularly when you’re using different vacation websites to get the job done. If your computer screen is a sea of open tabs, you need to turn your attention towards an app that’s going to streamline everything into one easy place. Enter TripAdvisor Hotel Flights. An offshoot from the comparison website, the mobile app makes it easier for you to scour pages of hotel reviews wherever you might be, and keep tabs on the ones that are really taking your fancy. As well as giving you an insight into the best of the best, the app will help you find the best deal for you on hotels and travel, making it easier for you to enjoy your vacation in style. In this day and age, who uses paper anymore? Rather than getting all of your affairs in order in a paper document, you can make the task a whole lot easier by turning things digital and putting them on your phone. If you prefer to have everything in the palm of your hand, Tripit is the travel app for you. Putting your tickets, reservations and itineraries into one easy-to-access place, the app cuts down on document loss for good, making getting on top of things a walk in the park. You can also share your vacation details with family and friends, giving them a chance to get on top of your itinerary and store their information along with yours. Travel has never been so easy. Do you find that you’re forever running through the airport in a desperate bid to find your gate? Gate Guru will make things a whole lot more easy for you. Rather than running from one area of the airport to another in order to find what you want, the app can help you to make the most of what’s located near your gate, meaning you never have to wander too far off. The vacation app also comes equipped with airport alerts, telling you before the crowds if there have been any changes to your gate number or departure time. Weekends are there to be discovered. Making the most of your time off each week is the perfect way to travel further, expand your horizons and see a little more of the country. While jetting off to an exotic location might not be exactly in your remit, there are tons of places in the local vicinity just waiting to be discovered. When it comes to wonder spots, there are few places as well kitted out as San Francisco. Offering up its fair share of city hangouts, seaside spots and hiking zones, the city has a little bit of something for everyone. Culturally vibrant and packed to the rafters with foodie spots, San Francisco is just begging to be explored over the course of a weekend. All you need to do is pack your bags, note down your favorite travel spots and get exploring! Hotels come in many shapes and sizes in San Francisco and there is something to meet any kind of budget. In terms of budget spots, you might be hard pressed to find anything quite as luxe as the Mayflower Hotel. A family owned establishment, the hotel dates back to the Victorian times, boasting a more than impressive history. Inside, rooms are vintage and plush in style, kitted out with all of the essentials for an overnight stay. If, however, you’re choosing to go a little more upmarket with your sleep spot, San Francisco is a real melting pot of different spots. The Parker Guest Hotel is a fantastic mid-range budget spot, offering up airy rooms with an impressive amount of space. The hotel is within a five minute walk of the Mission Dolores Park, giving you a great excuse to get out early and explore the local area. Hotels on the higher end of the spectrum don’t disappoint, either, and if you’re going to spend a little more on your stay, you should do so in the vicinity of The Fairmont. Within walking distance of all the essential districts, the hotel makes getting around a real breeze. If you don’t want to spend a night in the hotel, you can still get the Fairmont experience by popping in for an afternoon tea experience. Hotel sorted, it’s time to cast your net a little further and get acquainted with what the city has to offer in terms of entertainment. Riding a cable car is a great activity to undertake just after having arrived in the city. The transport is cheap, spans most of the city’s essential districts and is quintessentially San Franciscan. If you’re heading to the bay, you have to stop in to take a look at Pier 39. While it might be one of the more touristy places in the city, the area serves up all the best parts of bay living, helping you kick back like a real local. Culture is high on the cards in San Francisco and there are plenty of spots worth checking out. If you have a little more time on your hands, a trip to Alcatraz Island should be high up on your list. Make sure you plan your trip ahead to get the best out of your experience and take a good pair of walking shoes with you. You can also try taking your wanderings a little off the map with a trip to Chinatown. The largest of its kind outside Asia, San Francisco’s Chinatown is buzzing with life at any point in the day, serving up a whole other sort of local culture. Rural spots abound in the city and if you’re looking to kick back, there are plenty of picturesque walks to be had. While you might want to head to the Muir woods for a stroll amongst the trees, you would do just as well to take a peek at the Sutro Baths. A local favorite, the baths are located at the end of a picturesque coastal walk, letting you take in all the marine beauty that the city has to offer. Eating is just as a big deal in the city, so make sure you have all of your foodie facts before heading out into San Francisco. If you’re on the lookout for a few sweet treats, heading to the Tartine Bakery should be high up on your list. Kitted out with a fantastic selection of pastries, breads and baked goods, the spot is the perfect place in which to sip on a morning coffee. If on to go food is more your thing, try turning your attention to The Mission area of the city. Delicious street food abounds in the area, so make sure you have plenty of cash to take with you. You also can’t leave the city without taking a visit to Hog Island Oyster Co. A classic San Franciscan seafood experience, the restaurant is bursting with local goodies and always worth a try. 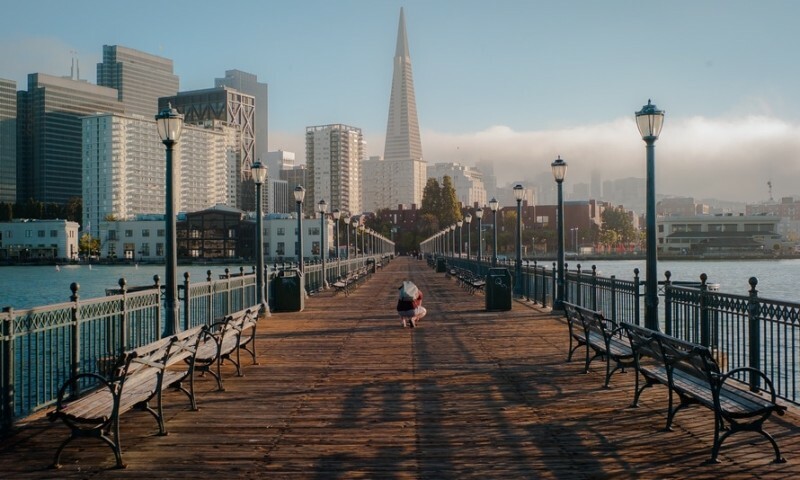 San Francisco is a city waiting to be discovered and whether you have just one day or a long weekend, you can really lose yourself in the coastal Californian spot. Vacations are a great way to see the world, get out of your comfort zone and expand your horizons. What happens, then, when you’re staying at home? With everyone jetting off at all times of the year, it can begin to feel like you’re getting left behind. It turns out, however, that adventure could be waiting for you. Your hometown is bursting with opportunity and even if you’re staying at home for your holidays this year, you can still have a great time. It’s all about adjusting your perspective. Once you take off your resident hat, you can see your town through the eyes of a tourist. There is a whole world out there to be discovered and it starts with where you live! Your vacation time is your chance to kick back, relax and forget about who you are for a little bit. If you’re going to make the most of traveling where you live, you need to throw your normal routine to the wind and explore your local area in a different way. Forget about the places that you normally go to and look to a different part of town. To make your task a little easier, you can try renting an Airbnb or hotel room in a different part of town. Treat yourself to the things you normally would if you were on holiday. Get up late, take a long bath and make yourself a special breakfast. Give yourself a cultural task to do for the day and try that bakery on the other side of town. The aim is to explore further, so don’t be afraid to think outside of the box. Just because you’re still at home, it doesn’t mean that you should make yourself available to work emails at every moment. While staying at home might make you feel like you have to keep checking in with work, you should try and take a break from your usual schedule in order to kick back. Turn off your email alerts and put your out of office on your phone. Give any pressing information to your colleagues and tell them to phone you only in the case of an emergency. This is your time to relax, so you should make the most out of it. It is so often the food that makes our holidays memorable. If you’re used to eating in when you’re at home, try treating yourself to a few great meals out when you’re on your staycation. Make a list of all the places you’ve been meaning to try and make a few reservations. Try choosing somewhere a little more expensive than normal, or stopping in for a coffee and a pastry on your way home. Making each meal an event of sorts is a great way to really kick back and feel like you’re having the vacation of your dreams. We all have a number of places in our local towns that we’ve been meaning to try but simply have never got around to. Your staycation is the perfect opportunity in order to get more done. Before your holiday comes into effect, try making a list of all the places that you’ve been meaning to try. Experiencing your hometown through the eyes of a tourist can help to up your appreciation of where you live. Add as much as you like to the list and get exploring! A staycation isn’t really a staycation unless you capture a few of your memories along the way. Reaching for your camera when you’re on holiday might be second nature but when you’re in your hometown, you might struggle to find an opportunity to take a snap or two. To create a memorable experience, try taking a camera with you wherever you go. The chances are that if you do, you will begin to look at places in greater detail and spot areas that you had never seen before. Taking the time to document small details will help to boost each experience and help you to capture the essence of your staycation! One of the joys about going on holiday is the opportunity to splurge a little now and then. While you don’t need to drop huge amounts in order to have fun, you can allow yourself a little extra spending here and there in order to make the most out of your time off. Try going for a nice meal, treating yourself to a new clothing item or seeing every museum in the local area. You’ve already saved a huge deal on flights and hotels, so don’t be afraid to go the extra mile for yourself. Traveling further can open up your eyes to all sorts of cultures that you never knew existed. Getting beyond the everyday might just help you to see the world anew, find a new purpose, or discover where it is you’re meant to be in your life. Taking that one big trip, however, can be a very big deal and unless you’re born with a self-assured sense of confidence, you might find it hard to really put yourself out there. 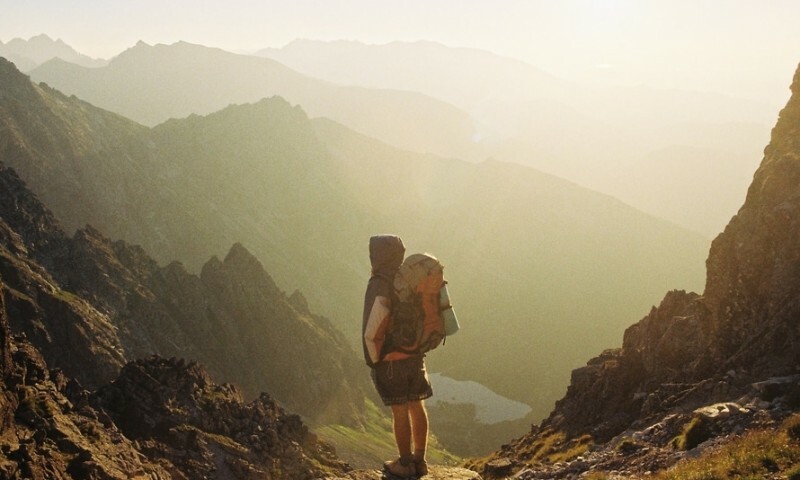 Getting out of your comfort zone and going further with your next big trip can seem like a very scary prospect but once you finally do it, you can reap all kind of benefits. Getting up the courage to get out there starts from the inside out and as soon as you start to adjust your perspective, you can go further than you ever dreamed. Want to feel more assured once you hit the ground? Try picking up the local language. If you’re journeying to a place in which the locals speak a different language from your own, then you might feel concerned about getting around and finding the essentials. While there will always be somebody there who can help you with what you need, learning a new language can help you to feel more at ease and more aware. Knowing that you can cover your back in a crisis is a great sense of relief and simply being able to communicate with the locals will make your experience all the more sweet. If you pick up enough of the foreign language, you can even try forging friendships with people who live abroad. The bigger your circles of friends around the world, the smaller the place will feel. If you really want to experience what’s out there in the world, heading out on a solo trip is a great way to go about it. While traveling alone should be done only after you’ve weighed up all of the pros and cons, doing so can completely transform your trip. When you travel alone, you are forced to put yourself out in the world and communicate with the people around you. With only yourself to rely on, your sense of confidence is likely to shoot through the roof and before long, you will be able to take on anything the world throws your way. Going it alone will be scary at first but before long, you will feel right at home in the world. 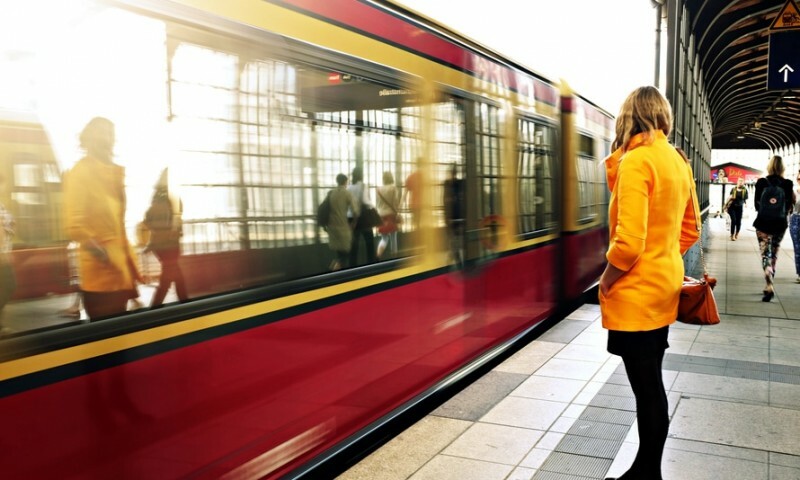 Want to know the best way to really get to know a new place? Talk to the people around you. Whether it’s with locals or other travelers, talking to the people that you meet can introduce you to a whole range of different places you might never have found otherwise. If you’re staying in a hostel, try to get to know the other people that you meet along the way. It’s more than likely that you will meet individuals from all sorts of different cultures, which will give you an insight into another way of life. Traveling can open up your eyes but it is the people you meet who will really surprise you. Not sure whose advice to listen to when it comes to picking a country? Try going with your heart. While getting to grips with a place before you leave can give you a greater understanding of how it works, don’t take other people’s’ opinions too seriously. A travel review is just that; a review of another person’s experience, dependent upon a whole range of different circumstances. Make sure you’re safe before you travel, of course, but try and leave your judgment at home before you venture off. While the whole “do one thing a day that scares you” thing might be a little on the clichéd side, it can be a great way of approaching your trip away. Before you go, try thinking about what it really is that scares you (within reason) and aiming to tackle it head on when you’re away. If you’re unsure about foreign food, make it your mission to try a different local dish every night. If speaking in a new language makes you feel uncomfortable, try to find one local person to speak to at least once a day. Putting yourself out there can feel hard at first but eventually, your fears will melt away into new habits. Jetting off into the sunset is something that many of us fantasize about doing and yet, the realities of modern travel can wreak havoc with our best laid plans, transforming our effortless stay in the airport lounge into something that more closely resembles a nightmare. Travel can often be stressful for reasons that are out of our control and yet, if we simply changed our approach and took our time about the whole ordeal, we could make it into something much more enjoyable. It’s time we took a cue from the people who really know what they’re talking about. Celebrities might have access to some of the best travel in the world but even that doesn’t stop them from having to deal with the same kinds of checks and processes and we have to. Given their time in the air, however, many of the A listers that we love so dearly have picked up a whole range of tips and cheats, helping to make their travel experiences as comfortable as they could be and now, it’s time for you to take influence from those who know it best. Are you ready to travel like a star? Come fly with us. While whipping out all of your cosmetic products while you’re mid flight can seem a little much, you can try streamlining your carry on makeup bag to include the essentials for your trip. Air travel is notoriously harsh on the skin and when you’re going to be making long trips, you might want to take something along to keep your face glowing for your arrival. Facial spray and sheet masks are a great way of keeping your skin moisturized and fresh, without any of the extra mess. Try using the products half an hour before you land; that way, you will arrive looking rested and fresh, no matter how tired you might actually feel. While actually drinking your weight in fluids might leave you in a mad dash to the bathroom, you should make sure to hydrate sufficiently throughout your trip. Keeping your body’s fluid levels is a great way of staying hydrated, feeling alert when you’re struggling with jetlag and flushing out any toxins that might have built up along the way. Try sipping on a large bottle throughout your flight; that way, you will land feeling and looking at your very best! When you travel, you expose your body to a whole set of germs and bacteria and often, you can pick up a bug or two on your flight. In order to give yourself a fighting chance against infection, make like Jessica Alba and take a few vitamin C tablets before you fly. During the flight, you can also fight against germs. By keeping a hand sanitizer in your bag, you can keep your hands fresh and clean, warding off anything that might come in your path. Staying in shape can be hard when you’re on the go and even though you might be on vacation to relax, you can still keep your body looking and feeling at its best. To avoid finding a local gym when you arrive, try traveling with a few small weights and resistance bands in your hold luggage. You can quickly work out in your room when you arrive and keep your fitness levels ticking over. When you travel for long stretches of time, you can end up feeling all the worse for it when you land and even if you make sure to keep moving mid flight, your muscles can really pay the price on the other side. To avoid any strains and keep yourself feeling limber, try stretching out from your flight with a little yoga when you get to your hotel. You can strengthen your muscles, iron out any knots that might have built up and effectively destress before your holiday really begins. Travel is something that many of us go through but by simply thinking through our routine before we step on board the plane, we can end up feeling and looking a million times better when we land. We might not have the cash to go for a private jet but armed with these A list travel tips, we’re guaranteed the trip of a lifetime. Los Angeles. 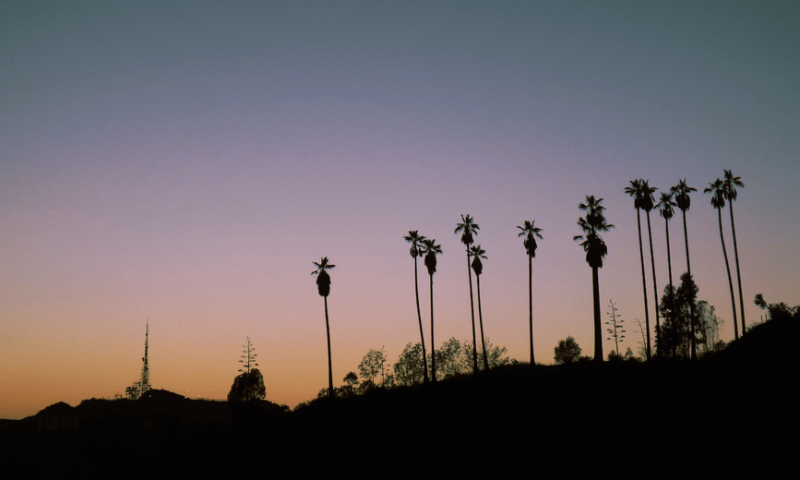 City of angels and starlets, the town is packed to bursting with must-see spots and if you’re visiting for the first time, the chances are that you will want a really authentic experience. Getting to know a city through its food is one of the best ways to understand its values, its locals and in the case of L.A., catch a glimpse of your favorite movie star in the process. With so many influences hitting the city, though, knowing where to begin can be just as big of an issue as knowing what to wear when you’re there. These city spots might not cover all of the bases out there in Los Angeles but they are sure to give you something to write home about. Are you ready to dine like a local and begin your journey into the heart of Los Angeles? It’s time to get eating. Small, intimate and oh-so delicious, Honor Bar is one of the most popular spots in the city and tables there can fill up fast. While waiting in line to eat might seem like a drag, you will realize just what all the fuss is about once you take a bite into one of the place’s famous sandwiches. If you know what’s good for you, you will try Ding’s Crispy Chicken Sandwich, a dish that has already earned itself a reputation across the city. There’s more to the place than just bread and meat and with each sandwich being served up with a side of sushi and fries, you might just make this place your regular spot. Looking for that perfect weekend hangout joint? Little Sister is here for you. Serving up Vietnamese food with a creative twist, the restaurant is about so much more than spicy, fragrant dishes. With each plate taking influence from both traditional and modern cooking styles, you’re guaranteed something with a whole lot of flavor and bite. If you find the place too busy to get a table don’t worry; there are now 2 locations across the city, giving you more opportunity to get your foodie fill. When it comes to great tasting Asian food, Los Angeles sure knows what it’s doing. Decked out in an interior that is sure to live up to your minimalist Pinterest dreams, Pine and Crane is a great resting spot amidst the traffic-laden streets of the city. The food there, of course, is what it’s all about. Serving up a range of traditional, entirely authentic Taiwanese-Chinese food, Pine and Crane should be a staple spot on the map of any Asian food loving tourist. Choose a selection of small plates, wash them down with some fresh tea and you’re good to go. If you’re in Los Angeles over any weekend, then you’re going to want to do brunch. When it comes to proper feasting, the locals really know what they’re doing so you’re guaranteed a plate of good food practically anywhere that you go. If you want something really exceptional, however, you need to set your sights on the Alcove Cafe & Bakery. Serving up a range of classic brunch dishes, the cafe is the perfect place in which to while away a lazy Sunday morning and catch up on your weekend reading. There’s so many good things on the menu, you might just want to come back more than once! Los Angeles is the city of a thousand flavors and no matter what you’re looking for, you’re guaranteed something that is going to taste amazing. If you’re really in the market for a thin crust pizza, then nowhere other than The Luggage Room will do. Crispy, packed with flavor and served up using only the finest of local ingredients, the pizzas at the restaurant might be among some of the very best that you’ve ever tasted. If you’re looking for a bit of a party, you can try to sample any of the cocktails on the menu; the night is yours for the taking. Eating in L.A. is one of the best ways to get acquainted with its culture and explore the local scene on your own. With any number of incredible eating spots on the city streets, making the most out of your time there is as simple as pie and before long, you might be returning to taste it all over again! As far as the movies, travel guides and personal blogs tell us, Italy is one of the most beautiful places in the world and getting there should be something towards which we aim at least once in our lives. With any number of ancient sites to choose from, however, knowing where to start in the Mediterranean country can be the biggest challenge of all and with so many well documented guides already out there, it can be hard to feel like you’re seeing anything for the first time. It turns out, however, there might be another side to the country that we simply haven’t seen before and by traveling off the beaten path, it’s possible to experience a much more authentic, less captured side of the historical country. But where should you start? These spots might not be exhaustive but, use any one of them as your starting point and you’re guaranteed to have a trip to remember. Located a short 90 minute trip outside of Rome, Orvieto is a great way to glimpse the Italian countryside if you’re taking a longer trip in the country’s capital. 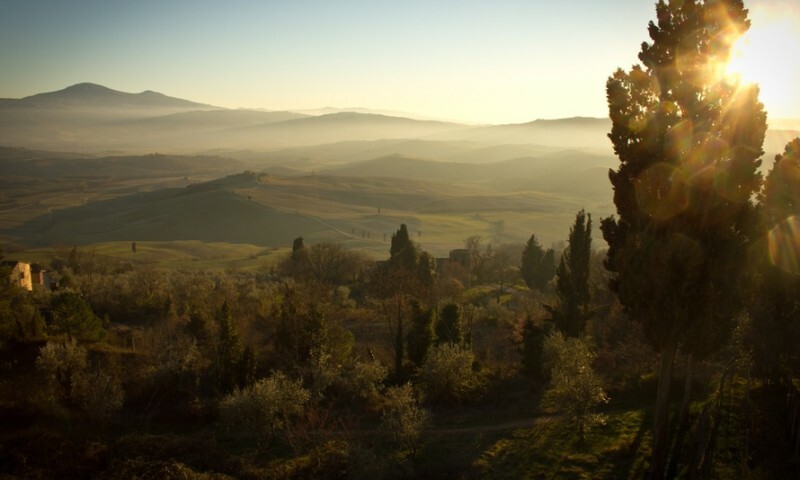 Located on a picturesque hillside, the winding town offers spectacular views of the local area and surrounding countryside, showing off the wonders of the Umbrian landscape. Inside the city walls, it’s much the same story and with many of the city’s older buildings still well preserved, it’s very easy to get a glimpse of what life was like hundreds of years ago. While there are any number of picturesque spots to see, the local cathedral really takes the cake, filled with intricate mosaic tiles and stained glass windows like you might have never seen before. Want to cool off at the beach? Rimini is the spot for you. 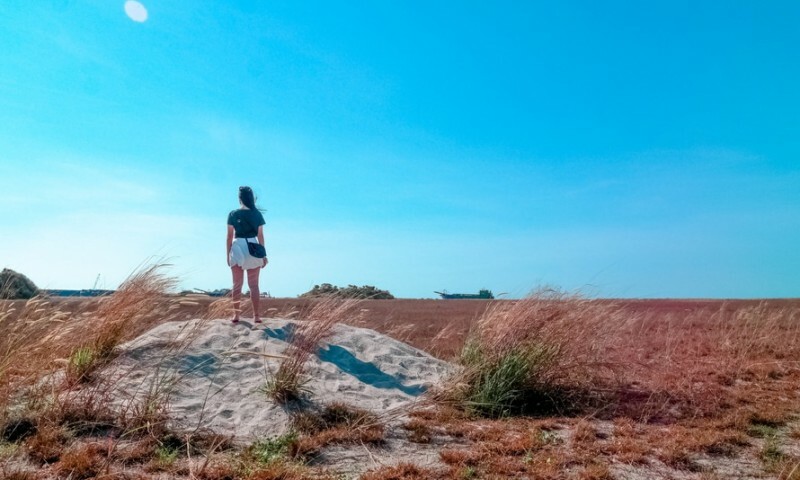 A local favorite, Rimini is a great seaside resort off the beaten track, offering you all the benefits of Italian culture will the possibility of cooling off at the end of the day with a quick seaside dip. With a whopping 9 miles of seafront, the beach options in the town go on for days and you might be hard pressed to choose a beach that you prefer the most. It’s not just all about the water either; you can stroll the city’s promenade and sample any number of local dishes, stopping into bars and cafes as you please. The city that gave its name to the celebrated ham, Parma is about so much more than great food. While most tourists do flock to the place for its celebrated cuisine and local delicacies, there is a great deal to see within the town. There are many walking tours on offer which give you a glimpse into Parma’s long and winding past, giving you the backstory on any number of buildings and monuments. If your tummy’s rumbling, there’s plenty for you, too; one of the most popular walking tours takes a look inside a number of cheese making shops, letting you sample the local delicacies before you settle on a choice. If you’re looking for a quieter, calmer version of the Amalfi coast then Puglia has you well covered. Renowned for its unique cone shaped huts, the town has a rich and vibrant culture and many of its older buildings still stand today. As well as the picturesque local views and noteworthy architectural feats, the town is renowned for its great selection of local foods and produce and whether cheese, olives or bread is your thing, there’s bound to be something out there to suit your tastes. One of the most colorful places in the country, Portofino is a real photographer’s dream. 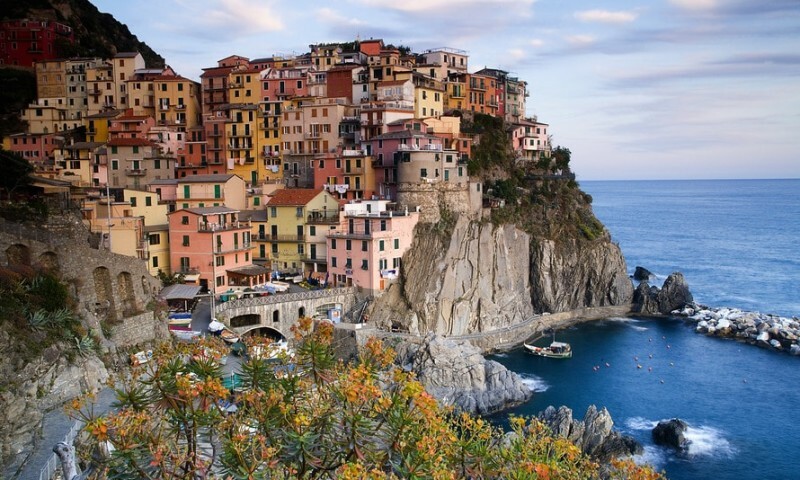 Dotted with pastel colored houses, sparkling turquoise swimming spots and any number of sailing yachts, the seaside towns is one of the prettiest places in Italy and one of the best places to unwind after a long day. While most travelers head to Portofino to kick back and relax, there are a number of great walks to be had in the town, offering great view over the local area and coastline. Try heading up Castello Brown Fortress for the best view of the region; located high up on the hillside, it takes in the place in one sweeping view. Paris. The city of lights. Home to some of the most famous culture in the world. The French capital is one of the top tourist hotspots around the world, and it’s not hard to see why. Brimming with art, packed to the rafters with monuments, the city is a real gem in the European crown and visiting there at least once in your life should be high up on your travel agenda. When it comes to cuisine, the French have had a hold on the industry for decades but in recent years, Paris has begun to change its tune. What was once a hub of traditional French dining has taken a more contemporary turn and now, you’re just as likely to stumble across a modern fusion dish as you are a French classic. But where should you be eating in the city? That is the question on everyone’s lips and luckily for you, we’re here to answer it. Brunching in Paris is practically an institution and if you aren’t settling down for your weekly meal each Sunday, you can’t truly call yourself a local. While there are a ton of incredible eating spots around the city, few do the job quite as well as Holybelly. Located just off the city’s trendy Canal St. Martin, the cafe is a real foodie favorite and serves up some of the best food and coffee across the entire city. While the roster of daily specials is always worth a try, Holybelly comes out on top with its serving of eggs and sides. Get there early, though; the cafe is a local favorite and tables fill up fast. Where French dining was once a heavy, butter laden affair, it has transformed itself and now, you would be more likely to find locals chowing down on a selection of small plates than anything else. While there are a horde of great, meaty joints, Clamato does something a little different, taking the small plates concept to the seafood market. Serving up a selection of unusual and exquisitely finished plates, the restaurant certainly knows what it’s doing and once you taste one plate, you might never want to eat traditional seafood again. While securing a place at the much celebrated Frenchie might be a little difficult, you can get a taste of Gregory Marchand’s foodie empire by pulling up a pew at concept fast food joint Frenchie To Go. Serving up a selection of quick and tasty meals, the restaurant is most famous for its pulled pork burger and fries, which tend to sell out as quickly as they come. Other offerings still hit the spot, however, and you can wash it down with a hot cup of coffee. Thought that you had tasted every kind of Mexican food there is? Just wait until you try Candelaria. A cocktail bar and restaurant in one, this popular food spot serves up a mix of traditional Mexican food like you might have never seen, all washed down with a frozen margarita. The dinner menu might be small, but it’s seriously good and after one taste, you might be hooked for life. Fast food takes on a whole new meaning in Au Passage, one of the city’s most popular small plates restaurants. Nestled just a stone’s throw from vibrant République square, the restaurant rubs shoulders with some of the best cocktail spots in the city and is the perfect place in which to commence a night out. Make sure you make your order before it runs out; the kitchen is renowned for changing the menu by the minute, so if you see a waitress rushing towards the large menu blackboard, make your request before it’s too late. While not strictly a restaurant, cocktail bar Gravity serves up a great selection of foodie bites to be washed down with its original creations. Having opened its doors last September, the bar has quickly proved to be a popular amongst locals and now, finding a table might be something of a struggle. The food menu is packed with the kinds of small plates making the rounds across the city right now and, accompanied by the bar’s many cocktails, they certainly go down a treat. 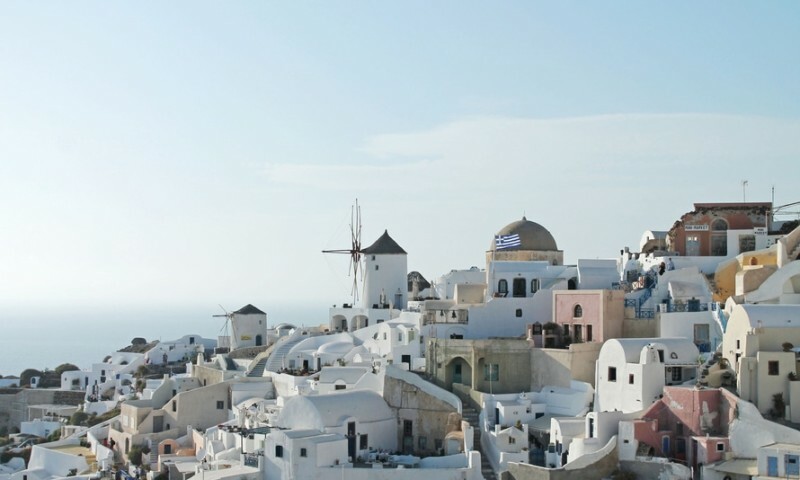 Broadening your horizons, introducing you to new cultures and inspiring you to see the world anew, travel is one of the best ways in which you can spend your time and money. With increased air fares and rising rental prices, however, actually getting your hands on that trip can feel all but impossible and unless you’ve managed to squirrel away a rainy day find, then you might believe that the adventure of your dreams is forever out of reach. Think again. One of the most enriching and rewarding experiences out there, travel can be easily within reach, even if you’re on a shoestring budget. By simply planning ahead of time, changing up your schedule and committing to some easy tricks, you can go on the trip of a lifetime, all while staying within budget. Ready to see the world? Now, you can. If you want to plan a bigger trip, traveling within the same region can save you a great deal of money down the line. Although your initial flight out might be costly, further travel from that point onwards can be a great deal more affordable, giving you the chance to see diverse areas of the same region. If you’re traveling within Europe, for example, you can find a number of affordable connecting flights or trains for much cheaper than visiting the place on a one-off trip. Similarly, if you’ve bought an expensive flight to another part of the world, you can make the most of it by traveling more within the country or region when you arrive. Local transport tends to be a great deal cheaper and more accessible and can help to open up your eyes to the rest of the world. When it comes to travel, we all want to do so in style but as costs mount up, choosing expensive accommodation can be an unnecessary luxury. While you travel, consider following options like AirBnb or VRBO for your stay. Not only will they save you a great deal of money but also, can give you the chance to live like a local during your trip. 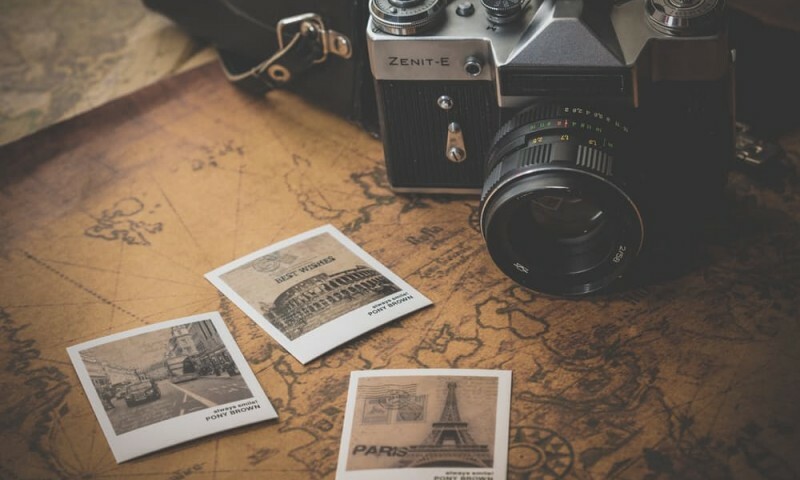 While we all have a list of travel spots that we want to visit, popular tourist destinations can sometimes be costly and often, it’s better for your budget and experience to travel off the beaten path. While capital cities like Rome and Paris are definitely worth a visit, there are a great deal of less renowned but equally beautiful cities nearby that will help you to keep your budget in check. If you want to get a glimpse of Europe, try heading east where the prices are dramatically lower. Cities like Tallinn, Budapest and Kraków have some of the richest cultures in the world and might just open up your eyes to a completely different way of life. Keeping your suitcase small and packing light for a shorter trip can help you to save on baggage costs while you travel and make moving onwards much more simple. Many forms of transport limit the amount of luggage that passengers can take and if you go over weight requirements, you might find yourself forking up the extra money to cover your baggage. Knowing exactly the amount of clothes you need during your trip can help you to keep suitcase costs low and make moving around the different places much less of a hassle. The less you take with you, the freer you will be to follow your next adventure! By taking the time to really think about your trip, you can cut costs dramatically and be free to enjoy more places along the way. Your next adventure is out there for the taking; it’s up to you to grab it with both hands.